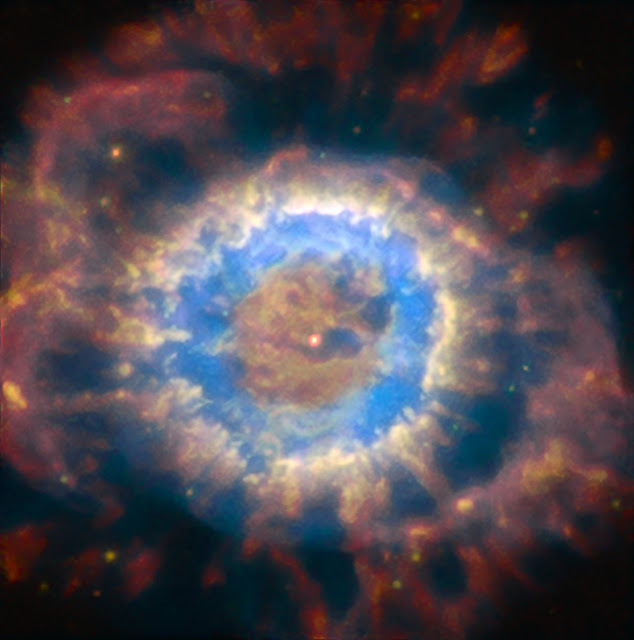 Known as the Little Ghost Nebula, NGC 6369 is a planetary nebula in the constellation Ophiuchus, the serpent-bearer. The nebula is relatively faint with an apparent magnitude of 12.9 and the clear detail of this image shows the power of the AOF-equipped MUSE instrument of the VLT. The white dwarf star is clearly visible in the middle of the nebular gas, which is expanding out in rings.